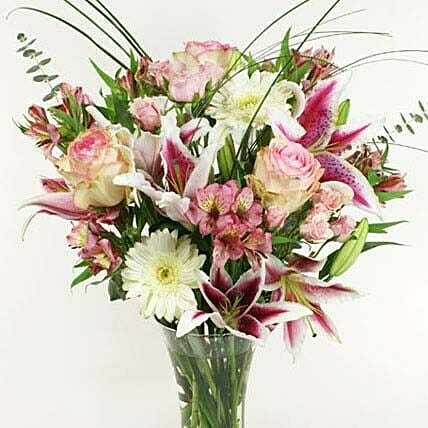 Tell her how much you care with the Sweet Sentiment bouquet! This bouquet is a beautiful combination of stargazer lilies, pink alstroemerias, white Gerber daisies, pink roses, and pink spray roses. During the Mother's Day season some colors may be substituted due to availability.